Join a global group of changemakers, storytellers and media professionals to collaborate for good. Join a gathering of people from all around the world passionate about storytelling, creativity and innovation. 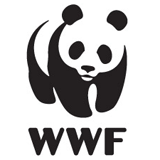 Taking place during COP21 Paris, this year's event will have a special focus on environmental issues. Engage with leaders, pioneers and innovators in film, photography, journalism, music, new technology, business, economics, education, health and well-being. Experience how media created with intelligence, clarity and vision is helping us find solutions to our social, environmental and economic challenges. Discover new perspectives from businesses finding sustainable solutions to life. Connect with deep thinkers, visionaries and doers joining the dots between personal well-being and global peace and prosperity. Hear about innovations and practical solutions leveraging the power of technology and communications to improve lives. The workshop and summit hosted by Place to B bring together a group of inspiring thinkers, visionaries, creatives and doers from across the world. We tried, but their short descriptions here don't do justice to the energy, wisdom, passion, and creativity that they bring collectively. Doctor of Economics, Anne-Sophie works as a journalist and blogger specializing in ecology and sustainable alternatives, social innovation and collaborative economy. Anne-Sophie is also the inspiration and driving force behind Place to B during COP21. De Moins en Mieux is the basis of her work and a philosophy for life too! Max has been an advisor on South African climate and renewable energy policies, and trained local communities in Namibia, Tanzania and Kenya. He is passionate about translating climate science and solutions into engaging communications for action. He has also worked as an ecologist, marine biologist, photographer and filmmaker. Max was raised in Lesotho, Germany, and South Africa. Slater has been making movies since she was six. An award-winning filmmaker and climate activist, Slater has been featured by Forbes twice: once for her ongoing environmental documentary An Inconvenient Youth, a film that follows the rise of the global youth climate movement, and more recently for her CFC short film Still, a short film that explores infatuation and domestic violence. She lives on a farm with her dog Rheya, where she keeps bees. Odile's architecture offers a paradoxical insight, tender as well as severe, on our contemporary world. Her work is a complete universe, including urban planning, architecture, design products and art. A versatility that was awarded in 2013 with Designer of the Year Maison&Objet. Her passion for architecture is driven by her desire to cross perspectives and experimental visions, and to question and go beyond implicit limits of architecture. .
How can we enhance our creative potential and improve our leadership skills? Emotional intelligence, alignment, vision and intuition are part of the recipe. As a creativity coach and a consultant, Magali supports businesses and artists with these questions. She believes creativity to be a powerful change agent. Magali has led research on the creative process with world-known musicians to understand it deeply and to create tools that inspire businesses and individuals. Nick has steered Triple Pundit’s growth to become one of the web's leading sources of news and ideas on how business can help make the world a better place. Previously he worked for Mother Jones magazine, and TreeHugger.com. Nick holds an MBA in sustainable management from the Presidio School of Management. Le Comptoir de l'Innovation develops social entrepreneurship around the world, through an impact investing fund and an international network of incubators. Nicolas is also Chairman of the Strategic Council of the City of Paris and author of Capitalism for All, 20 Enterprises that Change the World. The summit is designed with plenty of opportunity to interact and mingle. During the workshop yuo will choose an innovation group to collaboarate with. Upon registering you will also be asked to submit a short bio to be shared with participants so as to enable you to spot people who share your interests and you would like to meet at the summit. Lucia created Connect4Climate in 2011, realising the overwhelming need for effective engaging climate change communications. She was the task manager for the First World Congress on Communication for Development bringing together over 800 communication professionals from around the world to discuss how to mainstream development communication into development policies and practice. She is also the author of several articles and publications on communication for development. Gilles has created several initiatives related to a sustainable world, including the French film festival of environment and sustainability and Indibio, the institute of biodiversity together with explorer Jerome Pasteur. He has also written an international best seller Get Involved! together with Stephane Hessel. Forever Swarm, is an international creative network bringing together artists, creatives and expert thinkers to help mainstream the cultural response to climate change and engineer new narratives of human progress. With twin backgrounds as a climate change legal expert and campaigner and musician, he is passionate about the untapped power of cultural tools to inspire change. What makes a community thrive? How do we collectively tell and share stories that cultivate empathy, authenticity and creative collaboration? Scott explores these questions at OpenIDEO, a global community designing solutions for our world's toughest problems. Prior to this, he founded and produced a music, arts and storytelling festival in Iceland, after starting his career freelancing as a music journalist for The Washington Post. Morgan Curtis & Garrett Blad are storytelling cyclactivists that recently arrived in Paris by way of a six-month, ten-country climate storytelling bicycle tour. Their focus was on the stories of individuals and communities mobilizing for climate justice, demonstrating the strength of the global grassroots climate movement. With Morgan writing and Garrett making art, they believe that by sharing why we have made the leap to collective action we can inspire others to do the same. Morgan and Garrett are youth delegates at COP21 with SustainUS. Laurent helps food and agricultural organisations to maximise their potential through marketing, communication and creativity tools. He is the founder of the Terravita Project and the NGO "Un nouveau monde en marche" (A new walking world). He is also the author of books, producer of documentaries and a photographer on the subject of agriculture, food and social change. Indigo Cooperative is a non-profit organization designing social, cultural and artistic programs aimed at improving the collective social wellbeing. The association’s core is a digital platform for spreading mutual help enabling community members to access goods and services they need, for free. Instead of money the community is based on a currency of generosity called Digo. Jeremy founded Ideal Media in 2001 to create stories and media content for social and environmental issues. He is passionate about how narratives and media in all its forms can help create positive changes in society. He writes extensively on this subject and is part of building a global network of media creators that wish to serve humanity's best interests. Max is an engineer, environmentalist, and award-winning portrait and documentary photographer. Through his lens, he likes to decipher and explain the complex environment that surrounds us with elegance and simplicity. In 2009, he started the global photography movement Climate Heroes. He is an adventurer at heart, with a passion for the exploration of our planet to uncover the beautiful. François is the co-founder of Earthwake with actor and producer Samuel Le Bihan. He was previously the managing director of Action contre la Faim (Action against Hunger), one of the leading international humanitarian organisations in the fight against hunger worldwide. Caroline is the founder of Moteur!. She works with CSA, an independent authority protecting media freedom, helping to ensuring media represents the diversity in French society. She has worked in the media sector for many years with Time Magazine, and L'Express, and she is also Associate Director of Orchestre de l'Alliance, producing charity concerts to support NGOs. Prior to co founding GoodnessTV to focus on social engagement and positive news Katherine has 20 years of experience as a creative and production consultant for shows, videos and events. She has also been an actress, author, journalist, producer, and a short stint as a lawyer for UN projects. Her experience includes working for Cirque du Soleil and tribute events for Nelson Mandela and Martin Luther King. "Stories can point the way to creativity, and realising potential, others can point the way to our destruction." It seems simple: girls should count, and yet nearly 230 million children under five have never been registered. When a girl is denied a birth certificate, she becomes an invisible member of society. Lack of documentation can prevent a girl from going to school, getting a job later in life, and denies her access to health and social services. There’s a solution to make sure more girls around the world – regardless of where they’re born – are counted just like everyone else: The Girls Count Act. We need your help to make sure this bill gets the support it deserves. Take action today by clicking on the image below. "Go as far as you can see, when you get there you'll be able to see further"
"Humanity is going to require a substantially new way of thinking if it is to survive." "There is no passion to be found playing small- in settling for a life that is less than the one you are capable of living." Introduction to the day by Gilles Vanderpooten, Editor, Reporters D'Espoirs. What is your vision for a better world? : What does a sustainable future look like? How do we want to live. Work together to imagine / visualise the future as you’d like it to be. Inspiring change – How do we get from where we are today to the better future we’d like to create? How to implement the solutions and create the inspiring stories that engage people and help make the change happen. The summit at Place to B brings together some of the most innovative and inspiring changemakers working at the intersection of media and social change. There will be plenty of time to interact with other participants and also be involved in lively discussions. For speaker details please see SPEAKERS section above. Creating a new sustainable story that works for people and planet. What part can the creative process and creative media content play? 6:00 - 08:00pm: Drinks reception. A day of workshops facilitated by pioneers in their respective fields. In the first half of the day we'll be coming up with solutions together to the climate change challenge, and after that we'll look at the stories and media we can create to help us get there. Learn the art of developing the compelling story behind your idea, project, or organisation. Create stories with depth and meaning that engage with the power to transform. Bringing purpose into your work. Aligning personal fulfillment with societal contribution. Learn about cross-sector collaborations and meet potential partners for the future. Hear from pioneers working in media. Listen to personal journeys and how these leaders are contributing to the movement of media for positive change. Meet people working in media and creating positive change from across the world. To attend this year's event please click on the REGISTER button below to book through the Eventbrite page (registration open from 15 September 2015). For group discounts (6 or more people) please call or email. To reserve your place at Transformational Media 2015 please click on the link below. There are also a limited number of partial bursaries for participants traveling to COP21 from overseas. "The problems of the world cannot be solved by skeptics or cynics whose horizons are limited by obvious realities. We need those who can dream of things that never were"
The Transformational Media Summit brings together media professionals with changemakers to catalyse social and environmental impact. By connecting individuals and organisations that are creating the change with storytellers and content creators the summit hopes to help facilitate collaborations and partnerships to help increase the impact of the fantastic work being undertaken by the participants from around the world. Throughout the summit we will explore different ways that creativity, innovation and media in all its diverse forms can contribute to society. We believe that we are at an incredible time in our history where we have the technology and resources to solve the ecomonic, social and environmental challenges of this interconnected world we now live in. 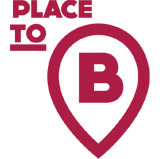 Following summits in London and Washington, DC this summit is being hosted by Place to B during COP21 in Paris. If you are interested in partnering with the summit, such as organising a featured event please get in touch.